This is why I get excited about Chile, projects such as these. Chile offers old vines on original root stocks. This wine is made in the ancient ways with hand punched and basket press. 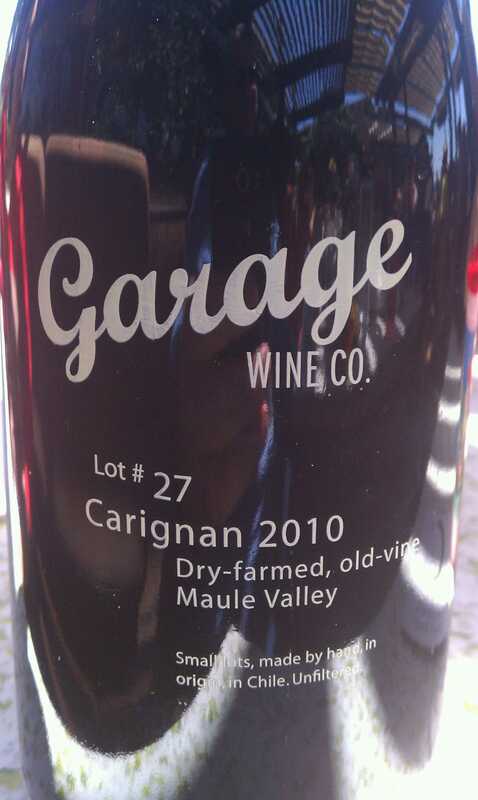 Carignan should be on everyone’s radar in Chile! Black and red fruits, full bodied with minerals and lasting acidity and really cool floral aromas. This wine is awesome! 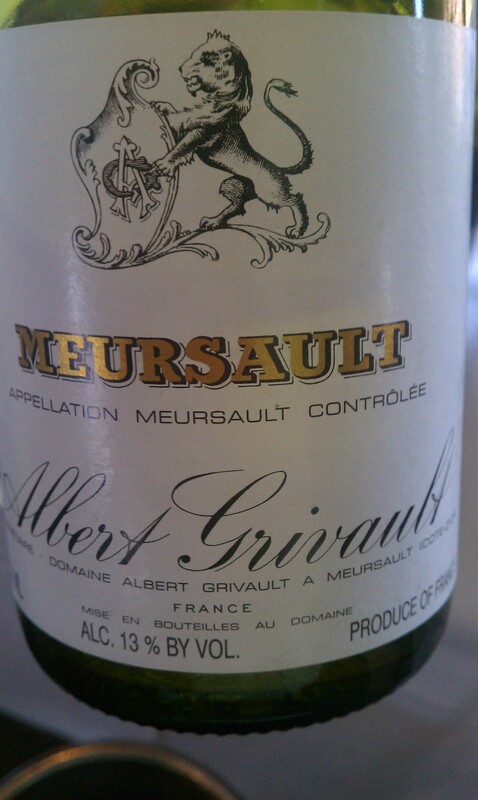 Yellow apple skins, pear tartine, lean on the palate with razor-like acidity. It finishes long with a subtle honeysuckle flavor. This wine is made by Morgan Twain-Peterson, the heir of Ravenswood. 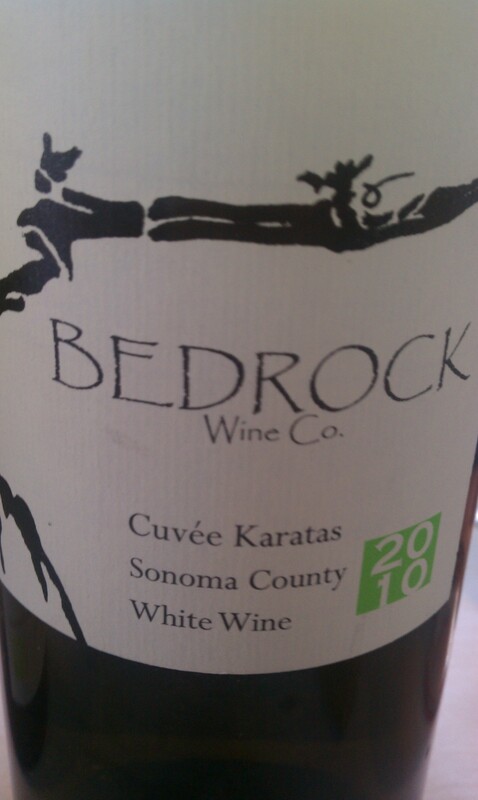 His white has pear and ripe peaches, yellow apple aromas. On the palate there are flavors of tropical guava fruits which are bright and finish dry. Another one of Morgan’s wines, it is honeyed in the nose with tropical fruitiness. There is definitely a sense of alcohol in that it sits heavy on the palate. The finish is long and just right for the summertime. 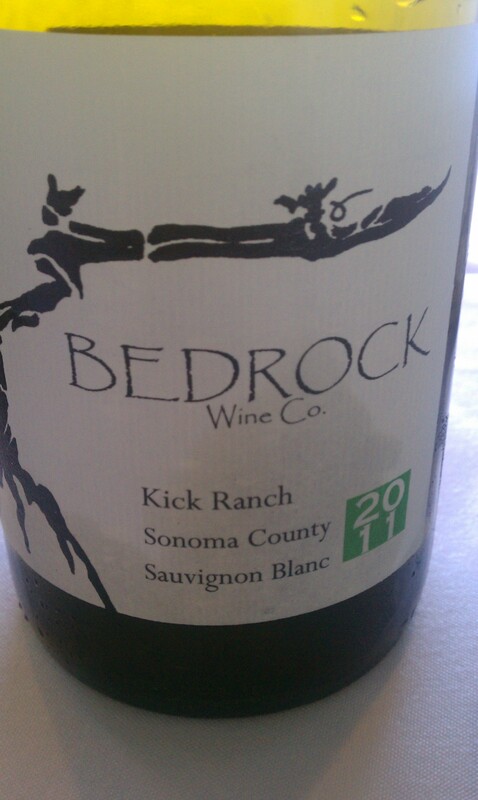 This is a delicious Sauvignon Blanc and ways away from the overly intense New Zealand SB’s. It has an herbal dill-like aroma, backed by white peaches and a ripe fruitiness. The wine is creamy on the palate but brightness up in the finish with great acidity. I couldn’t help but to think of Sweet Tarts while a sipped on this wine. Bordeaux the way I have come to know Bordeaux. It has the fruit aromas of plum and cassis; and like a good, Bordeaux, forest floor. On the palate I get flavors of prunes, cloves and floral flavors. It has a medium body with a good sense of terroir. 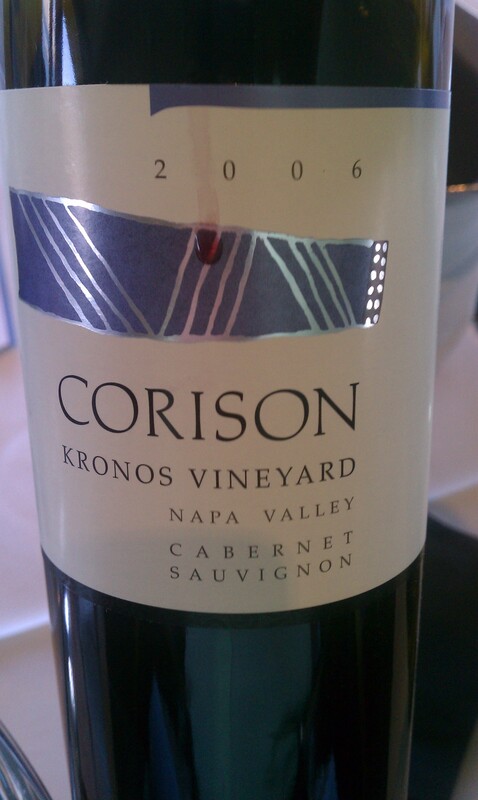 Cathy Corison has recently for the first time received well deserved praise from the Wine Advocate. Her elegant touch comes through in this wine with aromas of red fruits, roses, plums and down right juiciness. The finish is long and bright with flavors of Bing cherries! 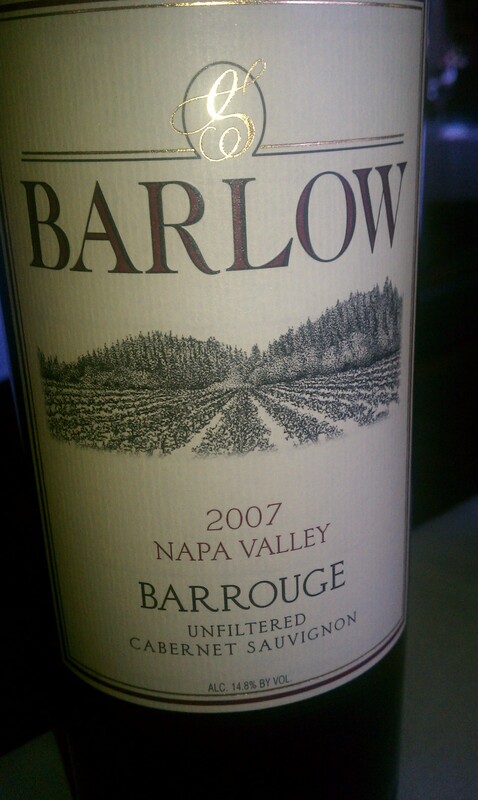 This wine has a bit darker fruit aromas, backed by a mineral funkiness that I find as a positive attribute. Violets and roses jump out of the glass with cherry flavors. The tannins are structured and the wine has a long textured finish. This beauty has aromas of sandalwood mixed with black cherry and cassis aromas. It has a lighter mouth-feel than the previous wines with elegant tannins and rounded mouth-feel. This wine still comes across as a young wine. It is a bit less aromatic, with aromas of plums and cassis. The tannins are a bit more apparent and they are backed with a balanced oak program. The wine finishes with chocolate and coffee flavors. Now this is Pinot! It is bright with red fruits of cherries and raspberries. There is a very nice oak spice with floral aromas. The acid gives it backbone which holds up all that beautiful fruit just nicely. What a pedigree! Consulting winemaker Mark Harold of Merus and Winemaker Thomas River Brown of Schafer, Outpost and Chiarello are the guys behind Hestan’s Chardonnay and Cabernet. The Chardonnay is sourced from the San Francisco Bay. It has a medium body with a lot of flavor. I got tropical fruits flavors along with pears and figs. The wine is balanced and shows bright acidity. The team behind the Merlot is Mark Harold and Jeff Gaffner of Saxon Brown and Black Kite. I am really beginning to like Merlot again, especially when they are made like this one. It has many complex aromas & flavors ranging from boysenberries to cherry bubble gum to black berry. It is of a medium body and finishes nice and toasty. The fruits are of golden apples, honey and pineapple. On the palate the warmer vintage shows a bit more weight with a distinct flavor of applesauce. The alcohol does come through a bit. The winemaker is great, but the vintage is eh-eh. “Dayden” means the little girl in Apache. 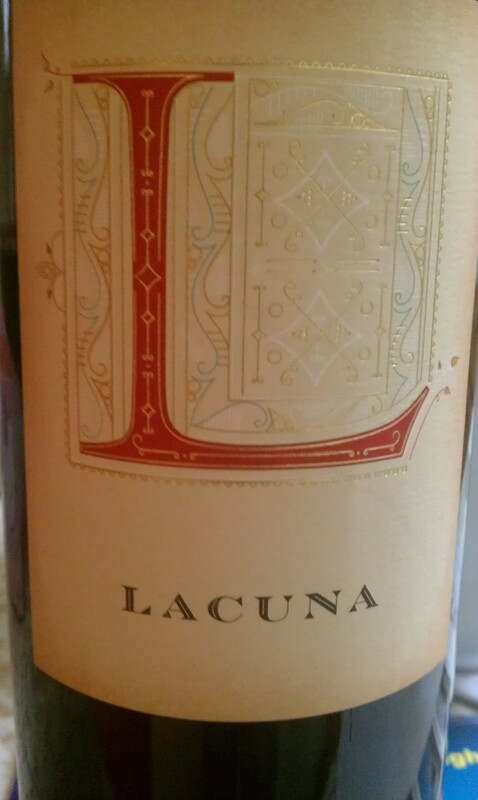 This Zinfandel is fruity with flavors of red cherry and watermelon. It is bit effervescent with flavors of baked bread and is bright on the palate. This is made from grapes sourced from the Farina Vineyard. It is unfiltered with aromas of butter, pear, red apple skins and butterscotch. 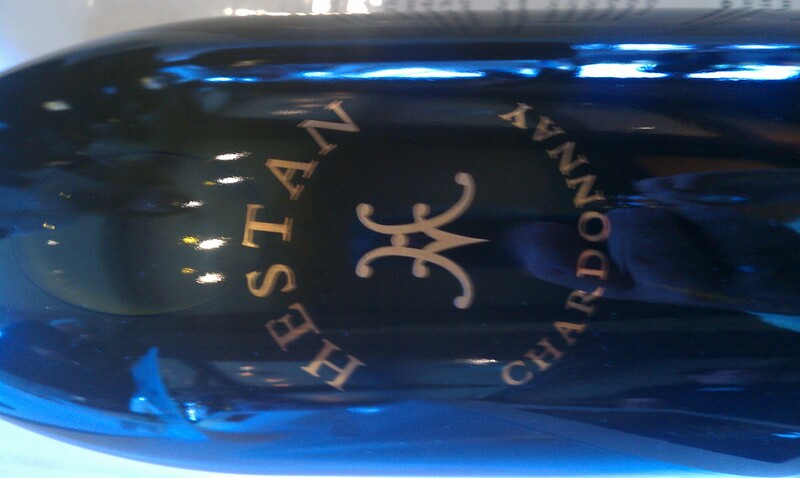 It is a full bodied Chardonnay with flavors of honey and toasted oak. On the finish it is clean and lingering orange and other citrus flavors. Although the color is of a dark intense purple, the viscosity is not as intense. It has flavors of plum, cassis, blueberry and red fruits. 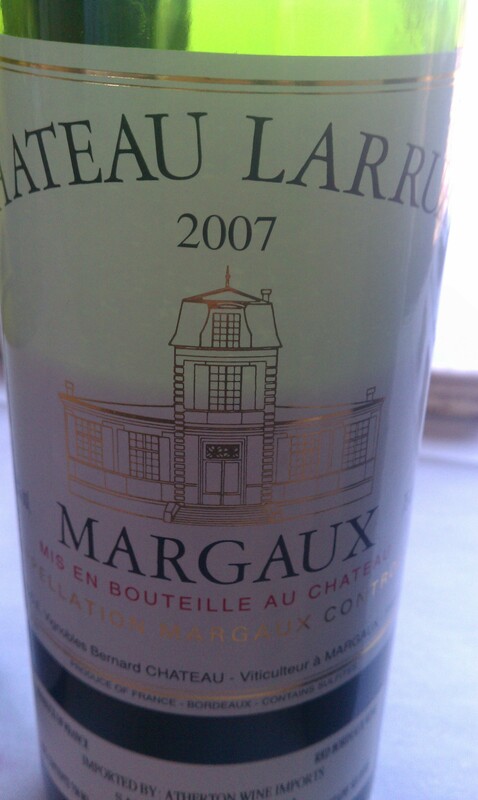 The body is light and acidity is high; it finishes with tart red fruit. 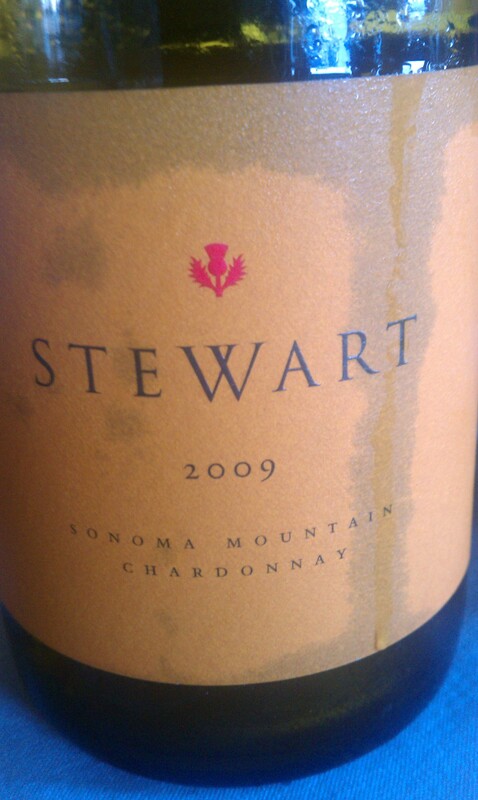 This is a second label from Stewart. It has dark fruit aromas of blackberry jam and black cherry. The tannins are soft and the wine is rich with interesting secondary aromas of caramel toast and smoke. It finishes ripe and full bodied. 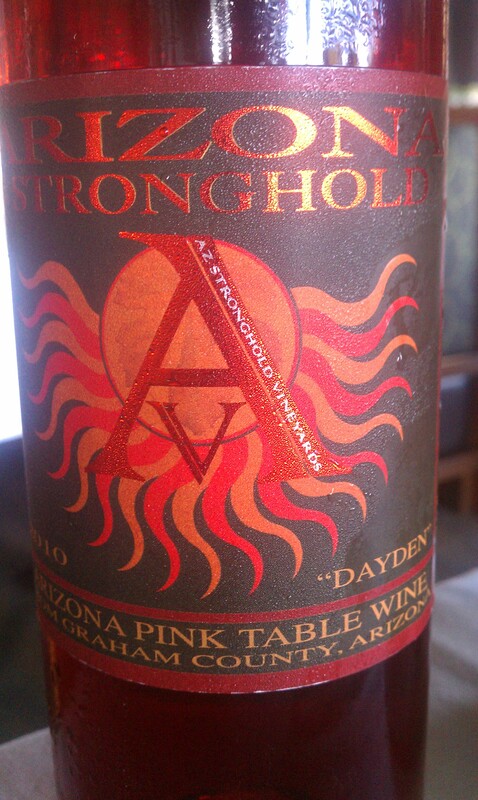 This wine is unfiltered and is sourced from some of the warmer parts of the valley. Its aromatics are intense with blackberry, currant and chocolate upfront. Then there is an underling aroma of black olives. On the palate the tannins are soft but it is a bit warm on the tongue. The finish is long and there is a sense of minerality. 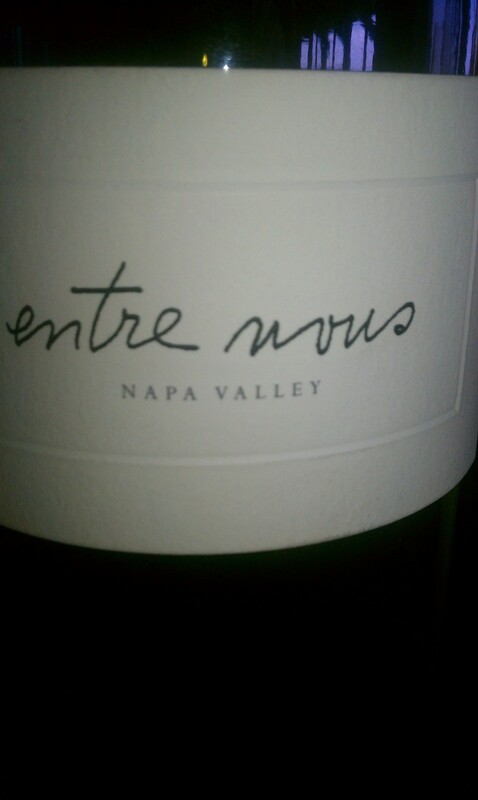 This better be good sense it comes from some of the top winemakers in the valley. The wine is made by Phillipe Melka and the grapes are farmed by David Abreu. The color is as you would expect, extracted and a deep purple. There are aromas of violets, plums, blackberry and saddle. The wine is huge with plenty of acidity. It is still developing and comes across a bit tight. Although one can definitely enjoy it now, its potential is incredible. I can’t wait to see the aromas of cocoa powder and coconut husk develop into bottle age aromas. Delicious! Nick Goldschmidt is the chief winemaker for the Goldschmidt brands. His intention is to do 100% varietals in the best regions of the world for those particular varieties. This Sauvignon Blanc is not as grassy as most New Zealand Sauvignon Blancs. It has aromas of apples, and white peaches with citrus. It is fresh and lively with high acidity and flavors of lime and passion fruit. The color is light and the tone of bricks. On the nose I get a broken twig and forest floor aroma. 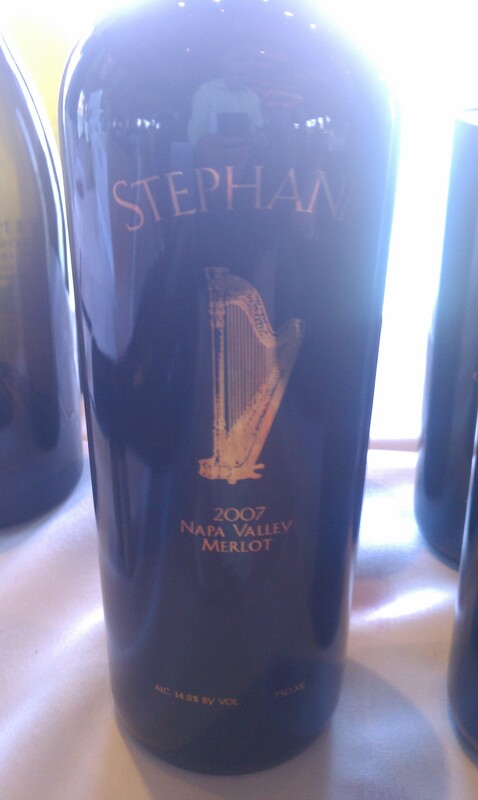 It also has red fruit aromas of raspberry and red plum. The wine is light and lean with generous acidity. The finish is has flavors of cranberry and cola. Great value! It is less aromatic than the Boulder Bank, with aromas of citrus & white peach. The acidity remains true to Sauvignon Blanc, bright and lively. However, it is fleshier than others with a bit more weight on the palate. This Merlot is aged in French, American and Hungarian oak barrels. The Fruit aromas are of Boysenberries, raspberries and other black fruits. It has a medium body with mild tannins. The alcohol is present but not overwhelming. This spends 18 months in French, American and Hungarian oak barrels. It is still a bit closed off, but as it opens I get aromas and flavors of blackberries, black cherries and a toasty note. It is another great value. 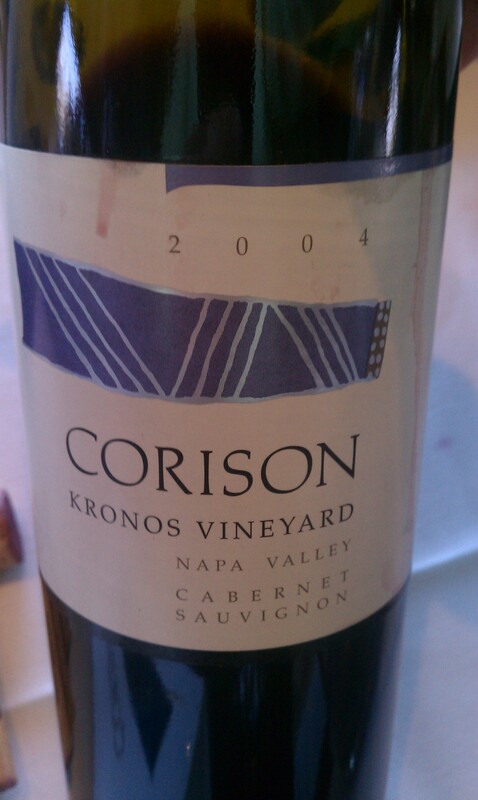 This Cabernet is all from Oakville vineyards lying next door to Opus One. There are flavors of Raspberries, cassis and candied caramel and vanilla form the oak. The tannins are drying but soft with a chalky minerality. The wine finishes long with good acid and ripe plummy flavors. A great bargain for Oakville fruit! This wine comes from 35 year old vines and aged in 16 months of 80% new French oak. There are aromas of prunes, cassis and blackberry jam. The tannins are polished and the wine has flavors of spicy peppers and tart red fruits in the finish. The abundant acidity will give this wine a long life. The fruit is sourced form the Game Ranch vineyard near Screaming Eagle and Nickle & Nickle. It goes through three years of oak aging in 85% new Allier French Barrels. The fruit is plush and sweet. 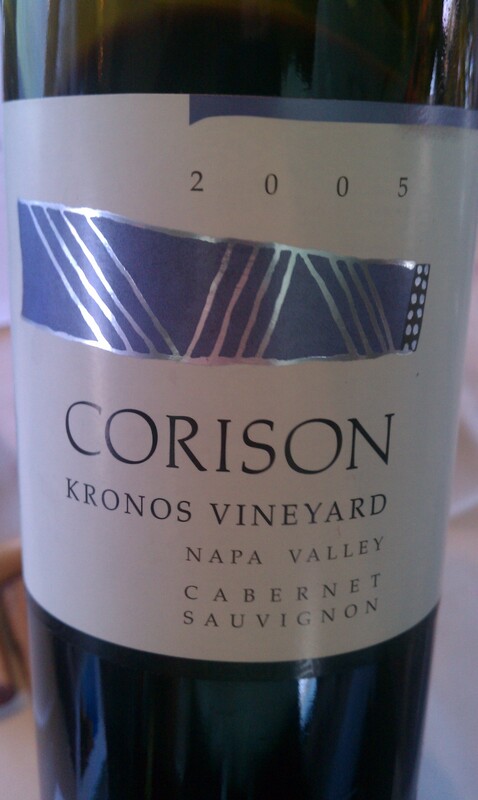 The tannins are gripping and give structure to the fruit and acidity. This is more of an elegant style of Cabernet. 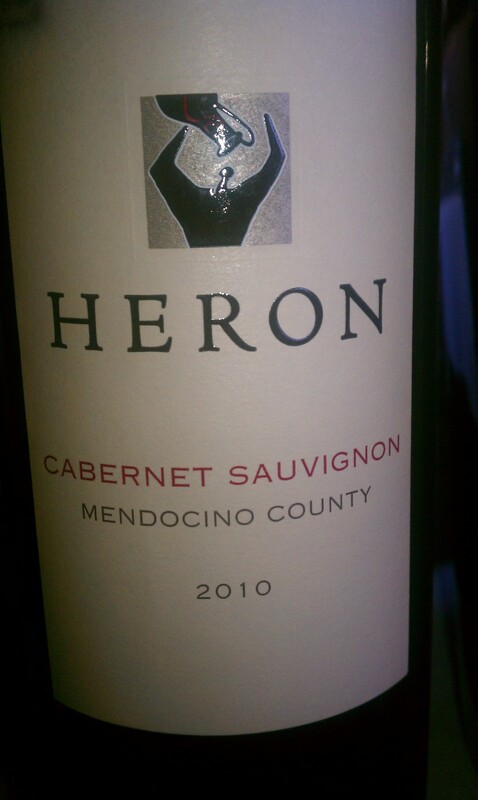 This wine has more body than the Game Ranch with berry fruits. It has aromas of roasted nuts and vanilla. It is more intense and concentrated than the Oakville. Where the Game Ranch is elegant, this wine is powerful. This is made of the typical Cava grapes Macabeo, Xarello & Parellada and receives 7 grams of dosage. It has a light straw yellow color with aromas of melon, green apple and brioche. It has a creamy mouth-feel mixed with the inevitable flavor of stones. I enjoyed the nice texture and lingering acidity. This wine is made of organically farmed vineyards and fermented in stainless steel. There are fresh aromas of red apple skins, passion fruit and sweet tarts. It is a bit fleshier on the palate than one would expect but still finishes crisp. Airen is a white grape widely planted in central Spain and known as a principle grape for brandy. It is aromatic and smells of flowers, peaches, tropical guava and bubblegum. There is an herbal note and more floral notes of Jasmine. It has a medium finish with a silky texture. Looking for an alternative to Albariño? Here it is. The Godello grape dates back to Roman times and is grown in Galicia Spain. This wine comes from grapes planted in slate soils and fermented in stainless steel. 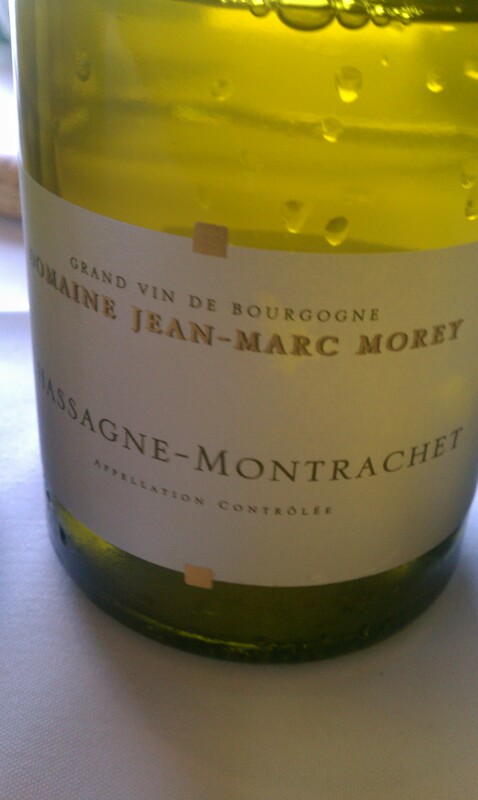 There are aromas of apples, pears and is a bit Chard-like without the oak. It is bright with a lively acidity and finishes with lemon-lime. This makes for a good country wine for an everyday occasion. It has flavors and aromas of strawberries, red cherries with some dark earthy notes. It is fresh and very palatable. This is a wine produced by four wine veterans Nick, Aaron, Pete & Morgan. Their background ranges from wine consultants, sommeliers, importers, brand managers to wine brokers. 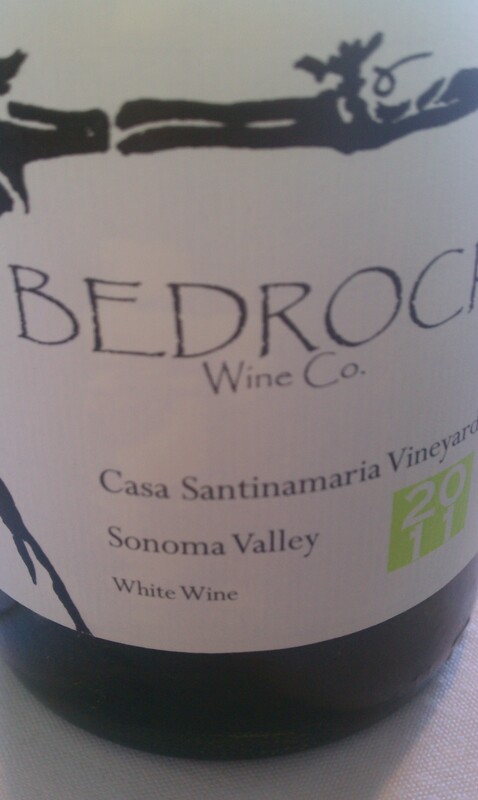 Their winemaker is Morgan Twain-Peterson of Bedrock Wine Company. It has been well received in northern California and just now entering the market in San Diego. The wine is very unique. 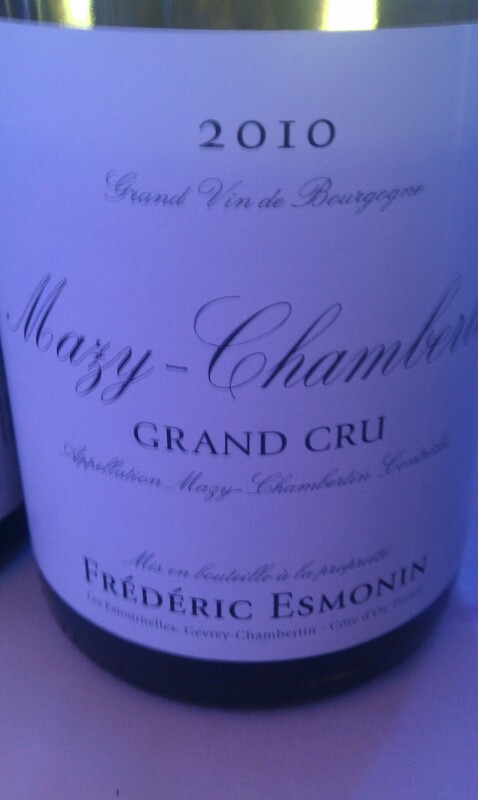 It has smoky and bacon aromas but on the palate the fruit is bright and effervescent. It goes from Bing cherries to raspberries and explodes with chewy tannins. On the finish I get a eucalyptus and black tea flavor. The wine is very different and worth a try.